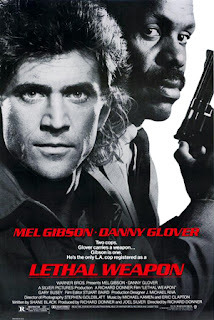 31 August, 2015 (Washington, DC): Federal Aviation Administration regulators ruled Monday that online mega retailer Amazon will be barred from equipping its proposed delivery drones with copies of the 1987 hit action comedy Lethal Weapon. An FAA advisory committee cited unspecified safety concerns in reaching its decision. Amazon CEO Jeff Bezos blasted the ruling, accusing of the FAA of once again being out of step with advances in technology. An FAA spokesperson said new rules will not apply to the movie's sequels as the agency could not foresee a scenario where such a ban would matter anyway.